It is a little over a year since the workers at the Old Port of Montreal went on strike for a starting salary of $15/hour, as well as paid sick days and vacation days. During the 5-month-long strike, from May to October 2016, the workers voted three times to reject managements’ offers, while galvanizing public opinion and the support of left groups. Here Michele Hehn interviews Konrad Lamour, President of the Old Port Workers Union (Local 10333) of the Public Service Alliance of Canada affiliated with the Quebec Labour Council (Fédération des Travailleurs du Québec). During the strike, Lamour was the spokesperson and coordinator of the collective bargaining team. Michèle Hehn: The workers at the Old Port began the strike in an inherently difficult position. Because the workers were in the lower of a two-tiered federal employment structure, they found themselves subcontracted to the Canada Lands Company, a self-described “federal, self-financing, Crown corporation that specializes in real estate, development and attractions management”. Your employer was able to call in scabs, despite the fact that Québec has anti-scab laws. How did you respond to these challenges and keep momentum going during a long strike? What role did your outreach to left groups play in your strategy? Konrad Lamour: Our local began its preparation well before the strike began, while we were still in contract negotiations. 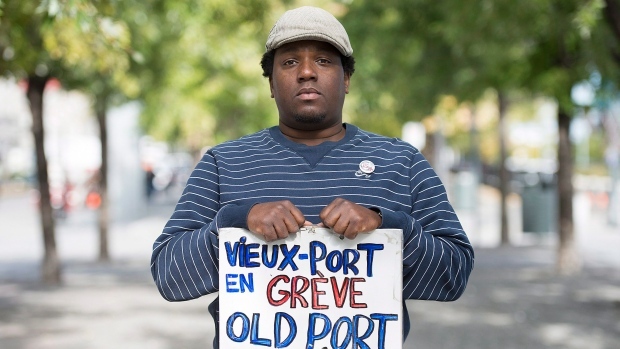 At that time, we began holding worker solidarity events at Montreal’s Old Port as early as November 2015, 6 months before the strike started. For instance, when the Old Port of Montreal or the Montreal Science Center held an event intended to discuss the future of the Old Port, we held protests to remind our employers that the exploited workers of the Old Port are also part of its future! It was also a way for us to let those attending the event know that the old Port in our eyes had become a “cheap labour company” where federal workers were paid well below market value. When the Old Port’s rink opened, we were there too, ice skating with our union caps and banners! During this period we also reached out to left groups, such as Alternative Socialiste, the International Workers of the World and the the Immigrant Workers Centre (Centre des travailleuses et travailleurs immigrants). We aligned our contract negotiations with the broader fight for $15/hour, since 40% of the our workers make less. We also launched our local newspaper. 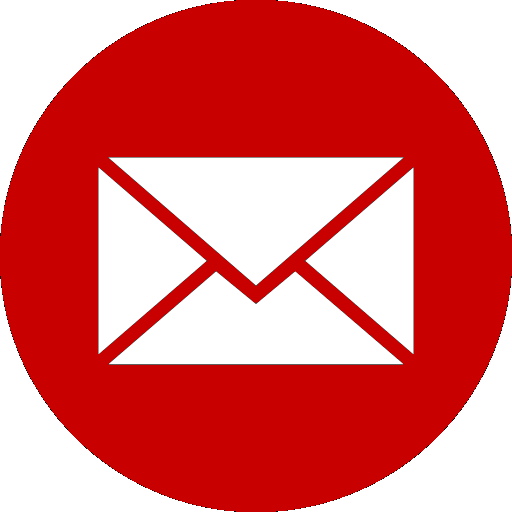 In addition to publishing our articles, we encouraged supporters to write and published those articles as well. Many of our allies contributed as well, which solidified the bond we shared over the issue of a decent salary for all. The Old Port of Montreal and Science Center membership is quite a mix, ranging from people who are very militant, and others who are more hesitant. But the support of allies from outside the union had a galvanizing effect on our members, particularly those who had been somewhat ambivalent at the outset. In short, all this preparation work paid off, when 80% of the members voted to strike and reject the employer’s final offer. For example, we received an injunction a week into the strike from going on the grounds of the Old Port, which is one of the the most visited tourist sites in Canada. In the days before the injunction, we picketed on the Old Port grounds, and marched through surrounding Old Montreal, letting the tourists know that we were on strike, and most of all, that scabs, also known as strike breakers, were now working our jobs. Our anger was raw and we communicated that to the public through our actions. Another way in which we kept momentum going was by targeting the federal government, because, despite being sub-contracted to the Canada Lands Company, we are officially federal employees, working at a federal landmark. This is why we picketed in front of Justin Trudeau’s offices in Montreal, delivering over 35 000 flyers in his riding. We also went to Parliament in Ottawa where we met with Liberal MP’s such as Mark Miller, Anju Dhillon and Nicolas Di Lorio. We also held protests in the front of the offices of many other MP’s who had not lived up to their electoral campaign promises to help the middle class. On behalf of the workers of Local 10333, a team of us together with other workers across Canada stood in the Canadian Parliament with MP’s Karine Trudel and Thomas Mulcair, who was then head of the New Democratic Party (NDP), to present an anti-scab bill to the House of Commons. Although as federal workers we were ultimately not protected by Quebec’s anti-scab laws, we still felt that these protections are important and deserve to exist at the federal level as well. We Old Port workers are mindful of the debt we owe to Réné Lévesque, who was instrumental in winning anti-scab laws in the mid-1970’s in the wake of the gains of the Quiet Revolution. We also participated in protests before and during the strike to demand the $15/hour wage in Quebec. Over time, we came to attract the support of more and more community groups and union organizations, at the local and provincial level, but also at the federal level. During our strike, unions from as far away as Alberta supported our strike with financial donations. Overall, our strategy consisted of fueling our courage with perseverance, and being patient within that perseverance. While we were not able to overcome all the challenges, in particularly the presence of scabs, we were certainly successful at mobilizing our members long-term and building relationships with allies. MH: Given that some of the workers at the Old Port were already paid $15/hour before the strike, including some members of your negotiating team, how were the workers at the Old Port able to keep everyone united on the $15/hour demand? KL: One of our major priorities as strike leaders was getting the support of our members making less than 15$/hour, or even barely minimum wage, who were mostly maintenance workers. It was important to let them feel the seriousness of our commitment to the movement we wanted to created. We had to convince them that it wasn’t just a select few workers who were fighting for 15$/hour, but that everyone supported it. And we did. We brought in the maintenance team, which became the base of our struggle. We also did a lot of worker education on the 15$/hour issue. Convinced that knowledge is power, we strike leaders informed our members how their working conditions compared to others doing the same job. To do this, we brought in studies from l’Institut de recherche et d’informations socio-économiques (Socio-economic Information and Research Institute) as well as other independent studies on the 15$/hour gains already won in the United States. This allowed our members to believe that it is possible to win. We did research ourselves, and shared the result of that research with our members at the general assemblies, which became the classroom of our strike mobilization. We placed informational flyers on the workers’ lunch tables and on Facebook. We presented workshops from the $15 and Fairness campaign in the U.S., so that the workers could hear the information from sources other than their own strike leadership. And the message was this: the price of everything is going up, except your salaries! Hearing this from multiple sources convinced people that maybe the government isn’t doing everything in my best interest. We also had the members testify about their lives on their salaries, how they weren’t able to buy what they needed, how some even needed to go to food banks to have enough to eat. That made members think they weren’t alone. MH: Despite the fact that the workers at the Old Port were unable to win a $15/hour minimum wage as part of their new contract, they have continued to organise for it in various ways since their return back to work. For instance, you recently attended as a group a viewing of the movie on Karl Marx by Raoul Peck! Can you describe these efforts? KL: We were surprised during the strike at how people looked up to us, the Old Port workers, for answers and inspiration! This was absolutely humbling. As a result we felt it was important after the end of the strike to continue mobilizing. To promise this, I created an External Affairs Committee, so that we can stay connected to our new allies and continue with them the good work we’ve started together. We also negotiated as part of our collective bargaining package, the creation of an employee/employer committee mandated to hire a research firm to do a market analysis that would show how the workers of the Old Port compare salary-wise to other workers doing the same work elsewhere. If the market study shows that our salaries are below the market average, then we’ll receive a raise to cover the differential. If this happens, we will reopen the collective bargaining agreement and immediately make wage adjustments before the new contract negotiations. In that case, we would not have to wait for 4 years, which is when our collective agreement expires. We continue to work with all the allies we made during the strike in the Inter-union Committee (Comité intersyndical) of Québec Solidaire, a left-leaning provincial political party that got over 20,000 signatures on a petition for a $15/hour minimum wage, which was then submitted to the provincial legislature. We are also active in the 15maintenant (15now) coalition of the Immigrant Workers’ Centre (Centre de Travailleurs et Travailleuses Immigrants). The major union confederations have their own $15/hour campaigns, as well as the university campuses. These allies were by our side during the protests during the summer of 2016. And we never stopped! We kept the protests going like a steady motor. It took them time, but some of the unions have finally jumped on-board the 15$/hour Now! train. We meet with them as well. We also participate in all the protests for a 15$/hour minimum wage, always with banners announcing who we are. Some of our members have also gotten involved in the comités de quartiers (local neighborhood committees) dedicated to the 15$/hour issue. This work continues on a nice path. 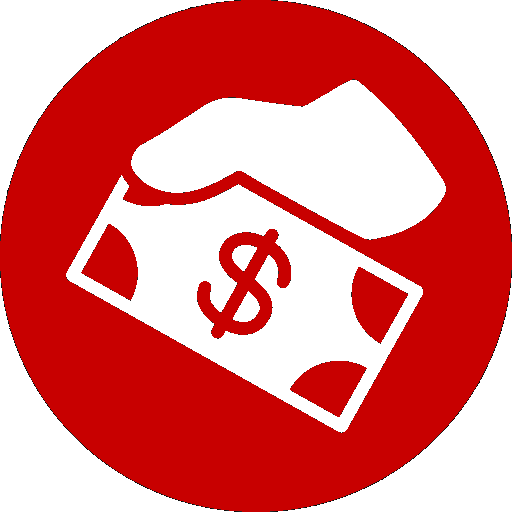 MH: The province of Ontario has recently voted to increase the minimum wage to $15/hour in January of 2019, with an increase to $14/hour in January of 2018. The province of Alberta has already had a $15/hour minimum wage for a year. Why do you think it’s taking longer to win the $15/hour minimum wage in Québec? KL: That’s a good question. One would expect that Quebec, with its history of social democracy, would be ahead of a province like Ontario, which has generally been more conservative. Yet, Ontario’s legislature has already approved the 15$/hour wage, and Alberta did so too for its provincial workers last year. British Columbia is the province with the most recent $15/hour wage initiative. So our job is reminding Quebec’s politicians about the social democratic values the Quiet Revolution fought for. This is our task: to bring about a just society based on equity and mutual support.